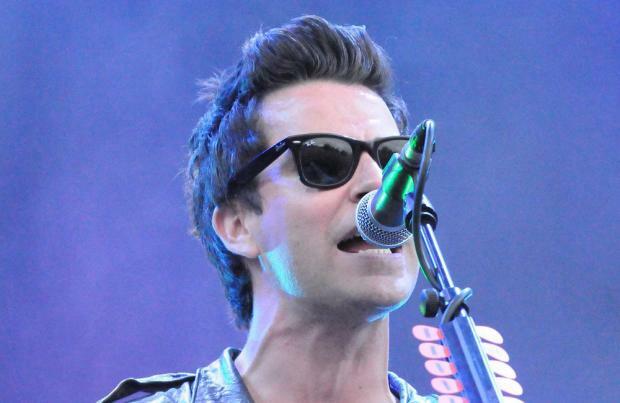 Stereophonics frontman Kelly Jones "didn't want to be famous". The 41-year-old rocker has insisted he was never lured into the music industry by the idea of fame and fortune but believes it was the main reason why his late bandmate, drummer Stuart Cable, wanted to be in the well-known band. Speaking about his time in the band, he said: "I mean, at the end of the day it's a bloke writing poetry to music ... but I think people now, they look at the television and they think, 'I could do that', because they want what comes with it, but we didn't want to be famous really, that's the truth. "Well, Stuart did. All he wanted to do was be famous, and have a swimming pool and a fast car, but to me that was the last thing on my mind. I didn't even know why I wanted it; I just knew I loved this thing." The 'Dakota' hitmaker - whose new album 'Keep the Village Alive' will be released next month - continued to say he was naive about the industry when he first started making music because he didn't realise the impact it would have on his and his bandmates' lives. He added to The Independent newspaper: "I don't think you really take on board when you're younger how much it's going to take over you the older you get. As much as you think you can put it down whenever you want, you can't, because you've made it part of your system. So that whenever things happen to you, you express them out. I'm glad that I can do that because a lot of people where I come from, that are my age, they couldn't do that. Some of them wouldn't have the balls to do it." Stereophonics will appear at V Festival on August 22 - 23, where Carling will have its Game On area, giving the chance for punters to predict the best festival and football moments across the weekend, with a guest appearance from footie legend Jimmy Bullard at Hylands Park on the Saturday (22.08.15).